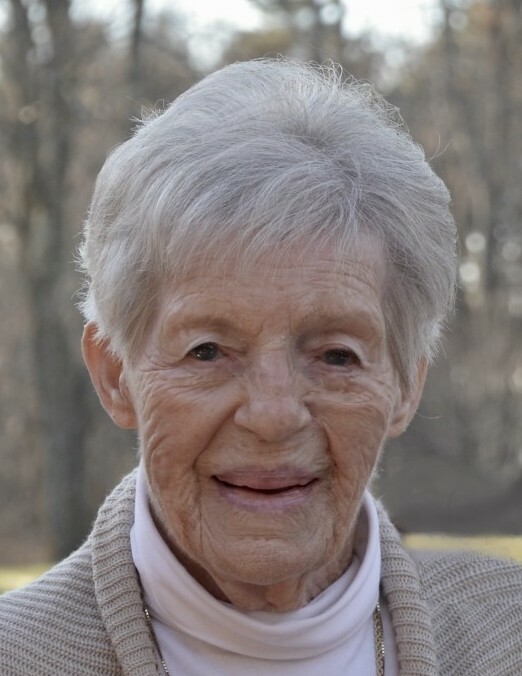 Claribel DeArmond Todd, Crystal Lake, passed away on Monday, March 18, 2019 at the age of 97. She was born in Seymour, MO on October 9, 1921. She was the daughter of late Jessie Osgood Tourje and LeRoy DeArmond. On July 5, 1939, in Kansas City, MO, she married the love of her life, Boyd Heffner Todd. Boyd and Claribel moved to Crystal Lake with their children in 1952. Boyd worked for the Northeastern Pennsylvania Telephone Company, a company started by Claribel’s uncle, Fred Osgood, in 1900. Boyd passed away on October 22, 2001. Prior to its closing, Claribel was a long-time member of the Centennial Methodist Church, Forest City, where she was a member of the choir for many years. She served as treasurer of the church’s Women’s Association and was an active volunteer in the church for more than forty years. She also volunteered at American Red Cross blood drives and was an avid bowler and book reader. Claribel was quick-witted with an inherent ability to frequently share off-the-cuff comments, making you laugh until tears spilled from your eyes. A hard-worker with a love of being outdoors in the sun, she also had an adventurous, fun-loving spirit: a boat ride or snowmobile excursion was never too fast nor a hedgerow too high to be overtaken by moped (that only happened once). Claribel was also proficient at telling time. Her internal clock always had a way of knowing when it was 4pm and time for a cocktail or glass of wine. She defined moderation by her two daily pieces of chocolate. It was simply a pure gift to be in her presence. She will forever be missed and deeply loved by her son and daughter-in-law, Donald Boyd and Lois Todd, and her daughter, JoAnn Todd Hall, all of Clifford Township; her four grandchildren, Douglas Todd of Waitsfield Vermont, Christine Todd Bolus of Dalton, Jeffrey Hall of Shavertown and Kimberley Hall Kindler of Dallas; and her twelve great grandchildren, all of whom she could not have been more proud. She is also survived by a brother Edward Tourje, nieces and nephews. She was preceded in death by her husband Boyd, her brother, Bernard DeArmond and son-in-law Alfred “Fritz” Hall. A private funeral service will be held at the convenience of the family with spring interment in Willow View Cemetery, Clifford. Arrangements by the Jones and Brennan Funeral Home, 430 Main Street, Forest City.